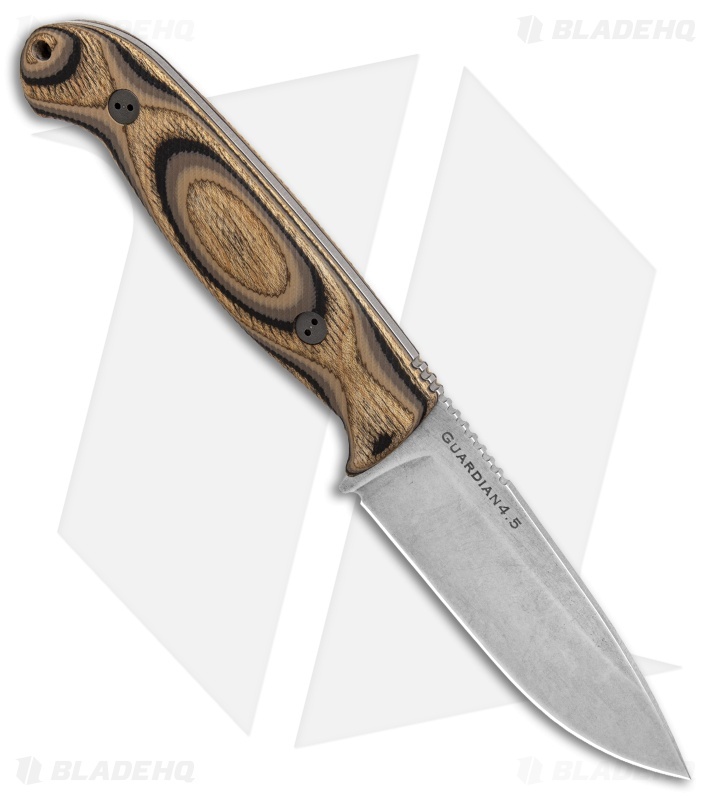 This Guardian4.5 model comes outfitted with textured 3D G-Wood scales and a stonewashed 3V steel blade with a Sabre grind. 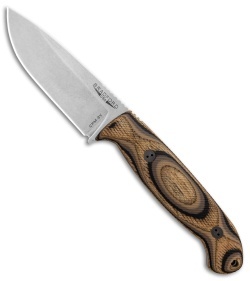 The Guardian4.5 is built with a choil-free handle design that offers a full grip for comfortable extended use. Its full-tang blade is profiled with a versatile cutting edge that'll breeze through a variety of outdoor cutting chores. 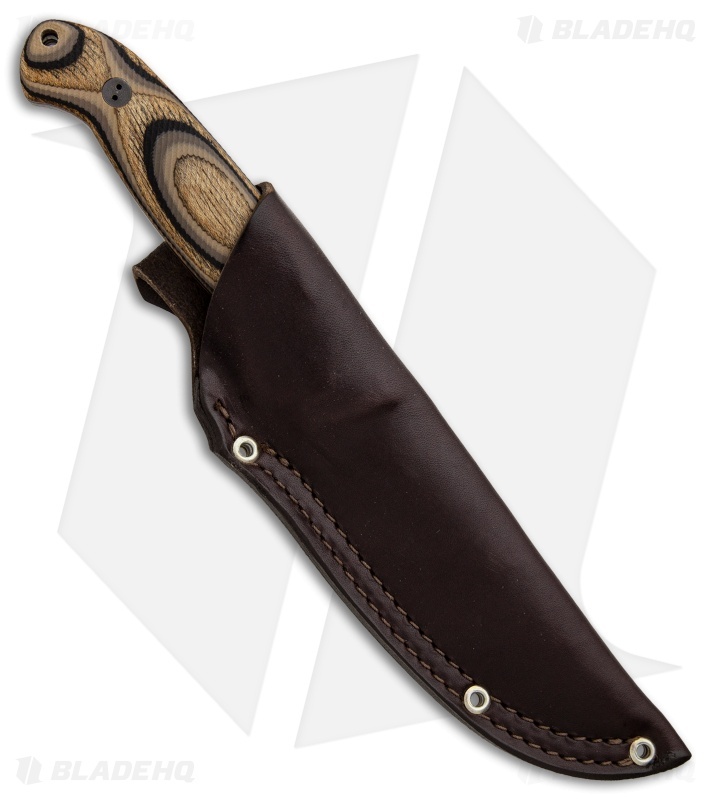 The Guardian4.5 includes a genuine leather sheath for secure vertical belt carry. CPM-3V blade steel offers outstanding toughness, and excels in outdoor/survival use. 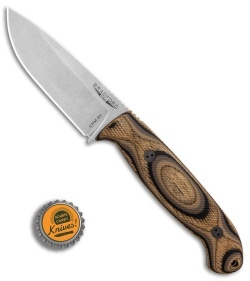 Contoured micarta handle and jimping on the blade spine provides a secure, controlled grip. Vertical carry leather belt sheath with plastic insert for proper blade alignment.